(Temecula, California) — Nominations now are being accepted for the 2015 Professional Numismatists Guild awards, according to PNG Executive Director Robert Brueggeman and President Terry Hanlon. “These annual and eagerly anticipated awards formally recognize achievements in various areas of the hobby and profession. We cordially welcome and strongly encourage nominations from collectors and dealers,” said Brueggeman. 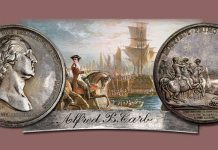 “The award winners will be announced at the annual PNG Day summer banquet that will be held in the Chicago suburb of Rosemont, Illinois on August 10, 2015, the eve of the American Numismatic Association’s World’s Fair of Money ,” explained Hanlon. Abe Kosoff Founders Award: Presented to a PNG member-dealer with steadfast dedication to the entire numismatic community and who has made a significant contribution to the Guild or to the numismatic fraternity in general the past year. The award is named after PNG’s Founding President who spearheaded the 1953 launch of the organization. Committee Chairs: Terry Hanlon and John Maben. 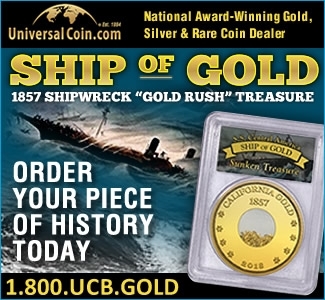 Emails: thanlon@dillongage.com and john@moderncoinmart.com. Art Kagin Ambassador Award: This award is named after a former PNG President and nationally-known Iowa dealer who provided distinguished service as an advocate of numismatic goodwill. Committee Chairs: Richard Weaver and Mitch Battino. Emails: rweaver@dvrcc.com and mbattino@hudsonrarecoins.com. Significant Contribution Award: Given to those who have made exceptional, beneficial efforts on behalf of PNG and the profession, and added to the hobby. Committee Chair: Jeffrey Bernberg. Email: jbernberg@rarcoa.com. Lifetime Achievement Award: Presented to a numismatist for his/her devotion to numismatics and who, over their lifetime, significantly contributed to the hobby or profession. Committee Co-Chairs: Dana S. Samuelson and Barry Stuppler. Emails: dana@amergold.com and barry@stuppler.com. Sol Kaplan Award: Presented to someone who has given their time in an attempt to rid the profession of fraud and thievery. The award is jointly presented by the PNG and the Lewis M. Reagan Foundation. The Kaplan Award is named after a former PNG President and Ohio dealer who was personally responsible for the apprehension of several people suspected of committing numismatic-related crimes. Committee Chair: Fred Weinberg. Email: fred@fredweinberg.com. Robert Friedberg Award: Presented to an author in recognition for an outstanding book or other literature. Named in honor of a publisher and author of numismatic reference books, this award is not automatically given each year. It is only given when there is deemed to be a worthy recipient or recipients. Committee Chair: James A. Simek. Email: nge3@comcast.net. 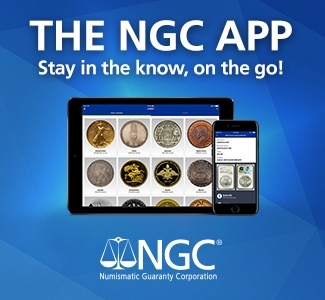 The Professional Numismatists Guild is a nonprofit trade association composed of the country’s top rare coin and paper money dealers who must adhere to a strict Code of Ethics in the buying and selling of numismatic merchandise. For additional information about the awards for the PNG, contact Robert Brueggeman, PNG Executive Director, 28441 Rancho California Road, Suite 106, Temecula, CA 92590. Phone: (951) 587-8300. Email: info@PNGdealers.org. Online: www.PNGdealers.org.